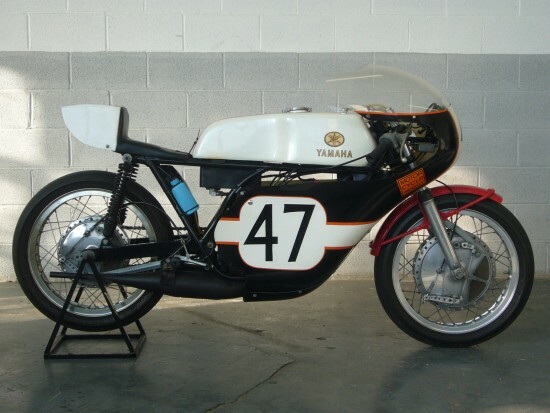 Jeez, as often as these TZ’s have been popping up of late, you’d think they were common or something… Yamaha’s TZ350’s were pure racing motorcycles and had no roadgoing derivatives directly related to them. Which is a shame: “race bikes for the road,” while often very narrowly-focused, lousy for roadtrips, and entirely lacking in passenger accommodations for that cute girl you met at the bar last night, can be terrific Sunday morning canyon-dance partners, allowing owners to get more use out of them than they otherwise might when restricted to track-only riding. 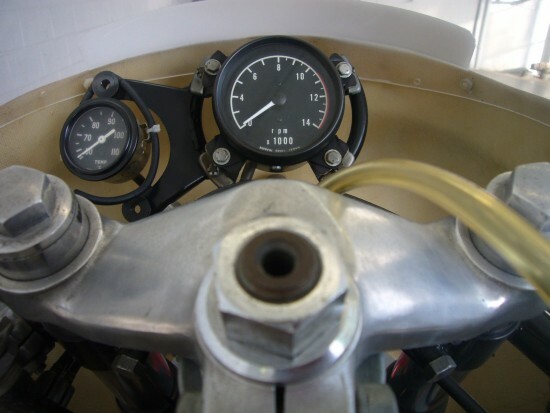 The affordable TZ350A introduced water-cooling to Yamaha’s over-the-counter two-stroke parallel twin GP machine, and the bike evolved progressively through to the final TZ350H model. 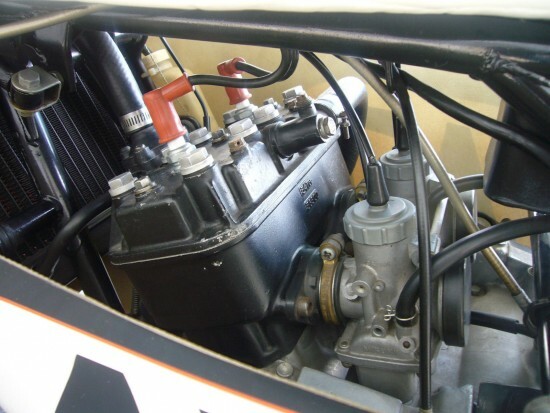 “A” versions like the one for sale this week featured a dual-shock rear end, although later versions changed to a monoshock rear suspension. The twin made a smoking 64bhp and at under 300lbs dry, these were competitive right out of the box, although they were bikes without a class here in the USA and generally were forced to run against larger machines. Up for auction is a piece of Yamaha, Daytona, and AMA racing history! 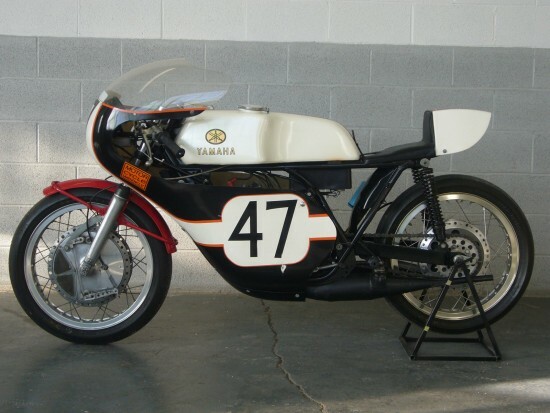 This 1973 Yamaha TZ350A was ridden by rookie expert Jim Evans to third place in the 1973 Daytona 200 for sponsor/owner/tuner/dealer Mel Dinesen. (Don Emde had won the 200 outright for Dinesen the year prior aboard a Yamaha TR3.) 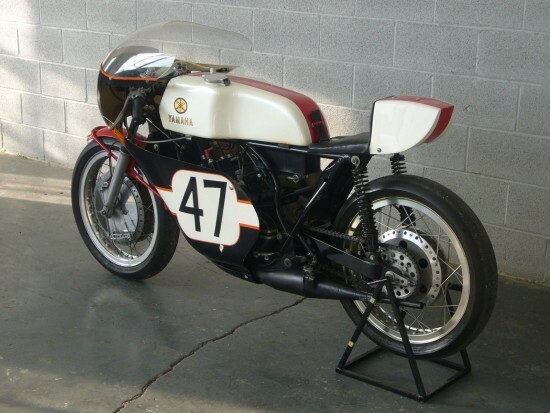 This privateer TZ350 finished the 1973 200 behind World Champions Jarno Saarinen and Kel Carruthers on Yamaha factory team TZ350s in what was the first major race for Yamaha’s new water cooled TZ family of GP series production racing bikes. The new TZ350s outpaced and/or outlasted both four and two-stroke machines of up to 750cc in that year’s contest. The late Stephen Wright found and restored this bike in the early-90s, before selling it into two successive private collections. Wright is well known as having been curator/chief restorer for Steve McQueen’s motorcycle collection, starting with work for McQueen’s Solar Productions in the 1960s, as well as for his excellent books on motorcycles and motorcycle racing in the United States. His restorations are extremely well-regarded. This TZ350A has been in two private (climate controlled) collections since being found and restored by Stephen Wright in the early 1990s. In the interest of full disclosure, there is some minor shelf wear (a few paint chips and a scrape along the primary side of the fairing from a tie down buckle during shipping), the rubber band mount for the oil temp gauge is split, and the Goodyear racing slicks show some dry cracking on the sidewalls, as you would expect from age. That said, the bike remains very clean. The paint finish is excellent and the colors are sharp. Take a look at the photos to see for yourself. The nice thing about the bike is that the 20+ years since the restoration have given the bike just the right amount of patina. Overall, this bike is stunning and beautiful; people gravitate to it. The bike was mechanically and cosmetically restored to full working order and correct appearance, then prepared for collector ownership (i.e. all fluids were drained and the engine was fogged). Any attempt to run the machine should follow a full recommissioning. The brakes, clutch, and throttle all operate as they should. There are four days left on the auction, with bidding north of $15,000 and the Reserve Not Met. This is in absolutely gorgeous condition, considering it’s basically an ex-race bike. There are a few minor scrapes that, to me, don’t detract at all. And while discs are generally better and more reliable means for stopping, that huge front drum and drilled rear hub are beautifully sculptural. It’s obviously not in ready-to-run shape, so if you’re looking for a bike to ride in AHRMA events, you’re better off looking elsewhere. If you’re looking for a beautiful collector’s item that has been properly prepared for a life on display, this could be your bike. Looks like this TZ shows “stock” sells best. 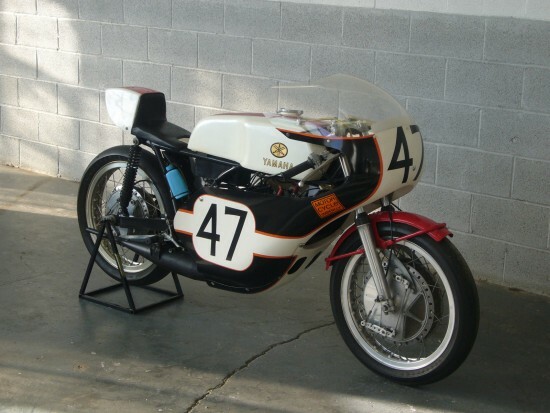 The bidding for this TZ is $16.6K where as the 2 Nico Bakker TZ’s have been on ebay forever from $13K to $15K. I think most people are looking at “collectors” so that’s probably very true! The Nico Bakker bikes would probably be better for someone looking at a vintage race or track bike, but most race bikes this old are likely to be parked up on display, and originality definitely counts there.